A media centre has been handed over to a school in rural South Africa and refurbished classrooms to another, as part of projects funded by De Beers Group. As part of its Rural School Development Programme, the company teamed up with Kagiso Shanduka Trust (KST) and the Free State Department to unveil the two infrastructure projects in Viljoenskroon, one of the areas from which its Voorspoed mine recruits labour. The projects involved the construction of the media centre at Ntsoanatsatsi Primary School as well as the provision of books and resources such as computers and furniture, a librarian and curriculum-related training. At Mahlabateng Primary School, the company refurbished classrooms and paved the entire school. At the media centre handover ceremony, Phillip Barton, CEO of De Beers Consolidated Mines (DBCM), said: “At De Beers we are passionate about our communities, and we pride ourselves on forging strategic partnerships that significantly contribute to the socio-economic development of our country. Last year, DBCM spent R5.1 million and has invested R1.9 million so far in 2017 in supporting educational projects in the Free State. 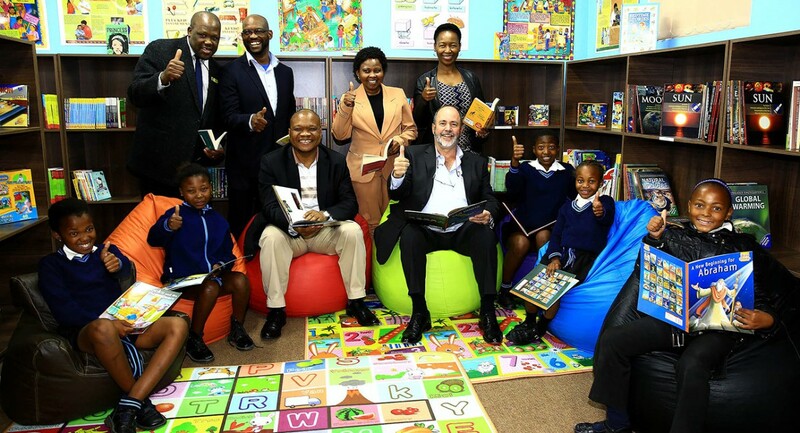 The company gave a total of R27.6 million to 30 educational projects across all its operations last year. School Principal Teboho Tsoela said the facility was a great investment for the school, its pupils and the community at large. De Beers has also worked with KST and other organisations in the District Whole School Development Programme, which has been successfully implemented in schools in the Fezile Dabi and Motheo District in the Free State. Now in its fourth year, at least 60 schools have benefited from infrastructure projects such as new and renovated classrooms, washing facilities, libraries, media centres, science laboratories and kitchens. More than 2,000 teachers are being supported through the curriculum development programme and over 18,000 students have undergone eye tests, with over 600 students receiving free spectacles. Yvonne Themba, a Trustee of KST, said: "Education is a priority and we need to make sure that we make the learning environment friendly for both educators and learners. This infrastructure will be of good use, not only to the learners, but the educators as well. We are very pleased that De Beers chose to partner with us as they are not a newcomer to doing work in education and we have watched them from the sidelines in awe of their work."